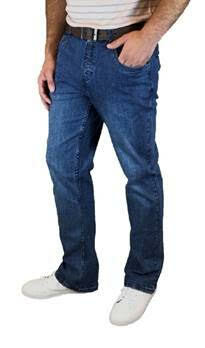 NBZ Brand elastic waist denim pants and dress pants fit great while adding flexibility and durability. NBZ Brand’s easy pull-on pants have no buttons, zipper or tags. They also have a mock fly, full elastic waistband and the fabrics are soft and stretchy. These are the most comfortable pants you will own. At the same time, they allow easy dressing and are perfect for those with active lifestyles. 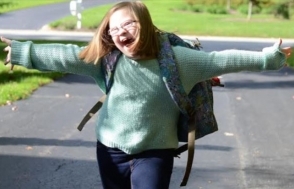 These easy pull-on jeans, black dress, and khaki pants can also be a great adaptive clothing resource to aid independent dressing. Downs Designs jeans and pants are custom fit. They provide a great fit and feel for unique body shapes for males and females ages 2 and up. Downs Designs’ jeans, black dress, and khaki pants. Every U.S. purchase of our Downs Designs brand clothing includes an exclusive “In-Home Personal Fitting & Alterations Service”. A customer service representative will help every step of the way. 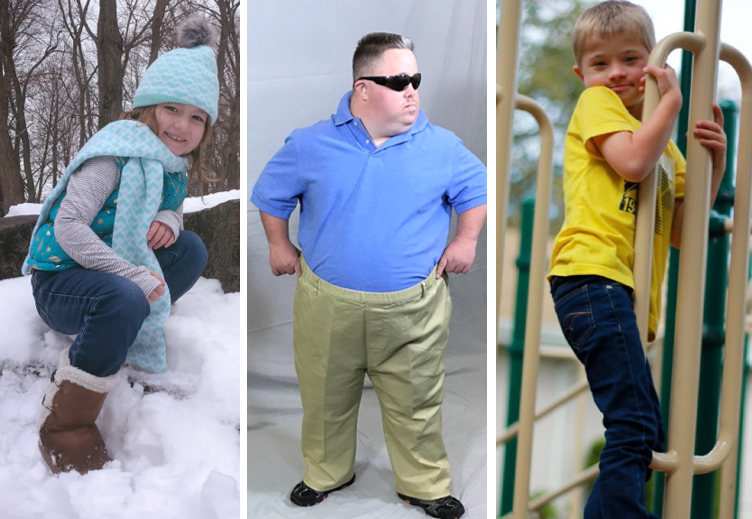 Some styles are specially designed for the unique body types that individuals with Down syndrome sometimes have. NBZ Apparel offers high fashion, great fitting, feel good pants. You will love them! Each of our brands are designed to look great and be comfortable. No front buttons, zippers or tags means no hassles. 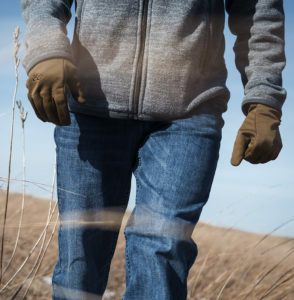 Our pull on, long lasting, high fashion jeans, casual jeans, black dress pants, and khaki pants are ideal for people who live active lives and prefer to look great while avoiding buttons and zippers. They will be the most comfortable pants you’ve ever worn!